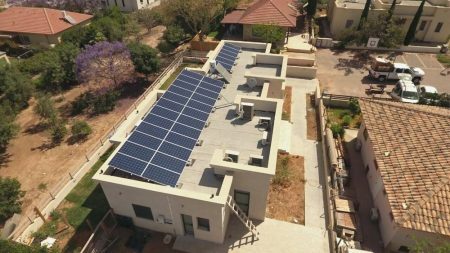 This 50 KilloWatts solar electricity energy system was installed on a Moshav Orot cowshed roof. The panels are by Suntech and inverters by PowerOne. The system was connected to the power grid in January 2011 and has since been producing green electricity.